To say I am a sensitive person is an understatement. My body is sensitive to all matter of things, including food, medication, the environment, you name it. One of the consequences of being a sensitive person is that I need skincare products that are not only effective at controlling my skin issues and dry skin, but are also gentle in the process. Enter Avène's Tolérance Extrême Range. 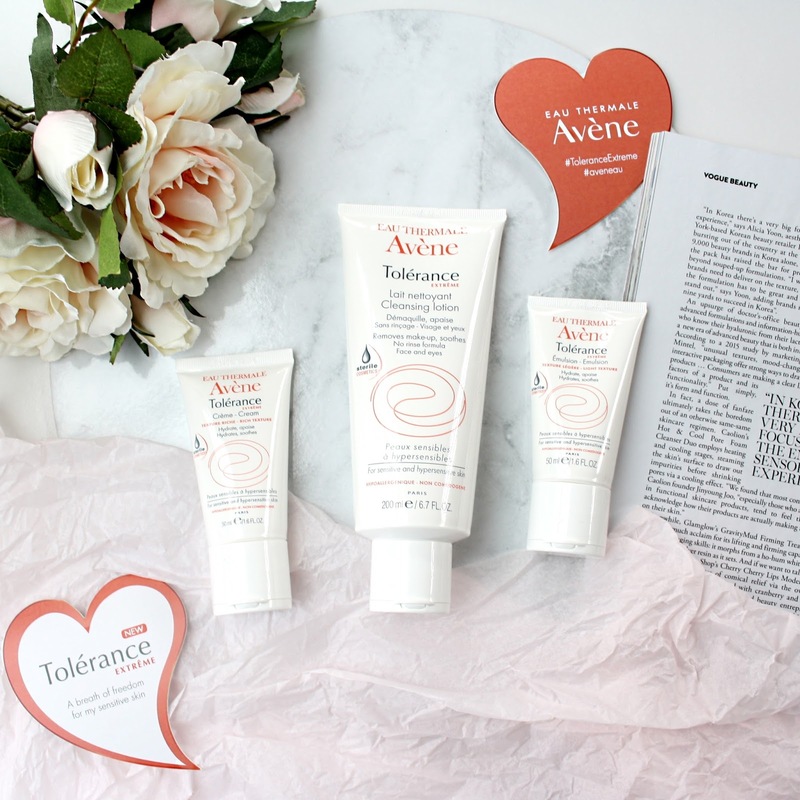 Avène has recently relaunched their Tolérance Extrême range with 3 new and reformulated products. Perfect for all types of sensitive skin, from mild sensitive to hypersensitive, these products contain less than eight products to create a skincare routine that is simple, yet effective and focuses on nourishing and hydrating even the most sensitive skin. Each product in the Tolérance Extrême range is completely preservative free, which concerned me at first as I worried about the sterility of the products. 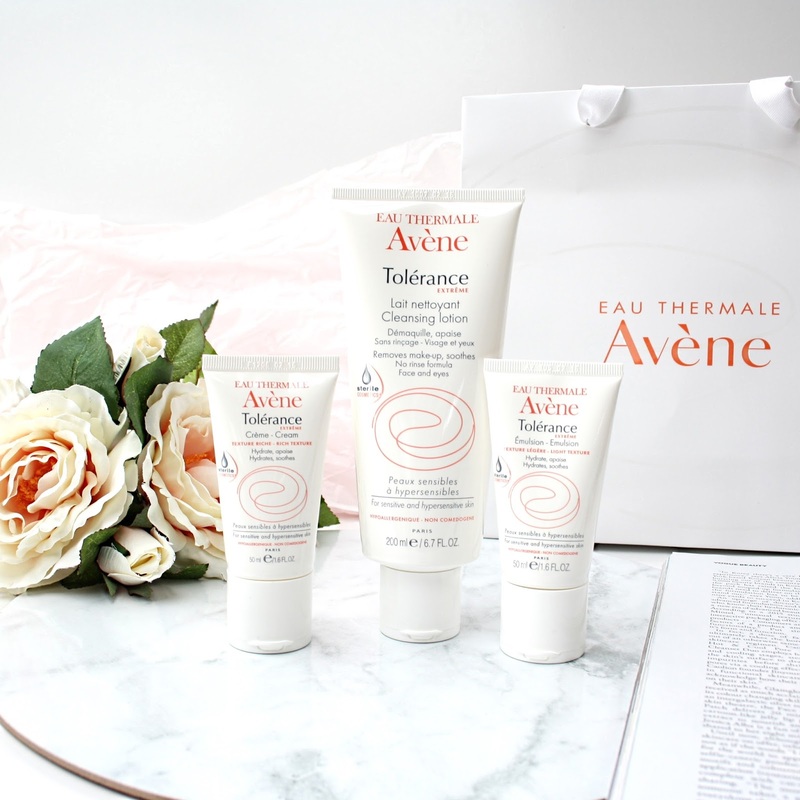 However, as Avène wanted to create a preservative free product to ensure absolutely zero irritants for the skin, they created packaging that guarantees total product sterility. Thanks to their D.E.F.I. (Device for Exclusive Formula Integrity) product packing system, the opening of the packaging squeezes out the product and prevents anything from entering back in, keeping the product inside sterile before and during use. As well as being preservative free, the entire range is 100% free of parabens, emulsifier and fragrance, so sensitive gals and guys rejoice! The first product in the Tolérance Extrême range is the Extrême Cleansing Lotion. This moisturising, creamy cleanser is designed to perfectly cleanse all impurities, while restoring moisture and hydration. I find this cleansing lotion is perfect for my finicky skin. I generally remove the bulk of my eye makeup with makeup wipes before using this, as I do with other cleansers. If I'm not wearing makeup, I head straight in with this. I love how this can be simply wiped off if you don't have access to water, or rinsed off if you prefer. My skin feels soft and clean after using this. Next up is the Extrême Emulsion. This lightweight, daily moisturiser is targeted at combination/normal skin types. Being a dry skinned gal though, I can use just this and a serum and find it is hydrating and comfortable enough on my skin of a day time. This moisturising lotion is quickly absorbed by my skin and leaves no greasy residue behind. And the best thing; no fragrance! For my fellow dry skinned pals, I recommend the Extrême Cream. This cream is suited to dry and ultra dry skin, and is slightly thicker in texture compared to the Extrême Emulsion. It contains ultra-fine oil droplets to saturate the skin with hydration and moisture, without any greasiness. This is basically my perfect day and night moisturiser, and the only thing I would change is the size of the packaging. This gal loves her moisturiser, and this tube will be gone in no time! 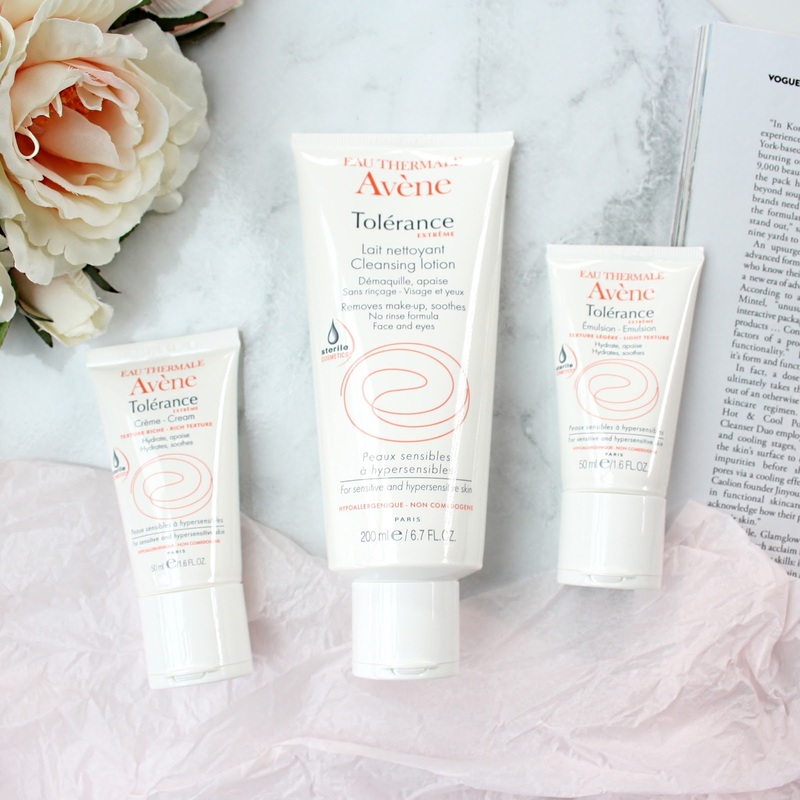 I highly recommend the Avène Tolérance Extrême Range to those with sensitive or hypersensitive skin. This range nourishes my dry, sensitive skin and while it doesn't directly address my acne, it soothes any breakouts and helps them heal. If you are looking for a gentle skincare routine that will really care for your face, this is it! You can grab Avène at Chemist Warehouse, Priceline and all good retailers.